Planning corporate team building activities in the North West? You’ll enjoy more space, more thrilling options and more ways to make the team bond better at Adlington Hall. Indoors and out, we have a wealth of safe, fun, inspirational ways to ensure your North West team building event leaves a lasting impression, whatever the British weather brings. With more than 2,000 acres of potential corporate games space, you’ll find more ways to break the ice and build the workplace spirit at Adlington. From leisurely guided tours to Bear Grylls survival training. From Segway adventures to archery and clay pigeon shooting, you’ll have the flexibility to match the team building exercises to the participants, ensuring everyone enjoys a successful, meaningful day. Get creative with circus skills, movie making and wine tasting. Or you could get a little more energetic with challenges such as learning the Haka! Morning catch up meetings will never be the same. Adlington Hall is proud to offer the Bear Grylls Survival Academy, a place where teams learn to gel and work more efficiently together by overcoming challenges. This isn’t simply a ‘corporate day out’ in the North West. It’s about using real life adventurous scenarios to overcome real life work issues, aided by instructors who have worked in some of the world’s most challenging environments. Each team building day can be tailored to your requirements, from helping new teams bond, to building performance, resilience and spirit; from leadership and management training to enhancing communication, or overcoming specific issues. Using the expertise of the Academy and the wonderful setting of the Adlington 2,000 acre estate, this will be a Cheshire team building experience you’ll be talking about for years to come. Zing Events is a pioneering corporate event company delivering a new era of team building activities and staff ‘away days’ that combine fun with learning. 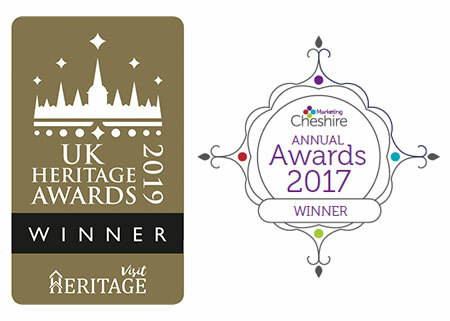 Whether you are looking for a specific indoor or outdoor team building activity that can engage and entertain, or perhaps an evening entertainment event for your colleagues, you can book in confidence in the knowledge that the team building events from Zing Events have won awards! Our new era of team building activities are increasingly recognised for being different to the norm and they’ve received rave reviews and positive feedback from some of the most recognisable companies in the world! 40 delegates took part in a full day of Bear Grllys Survival activities, taking place in different areas of the Adlington Estate. Using The Hunting Lodge as their base, for refreshment breaks and lunch. All delegates were well looked after and fully energised! For team building in Cheshire tailored to your board-level requirements, please contact us.